XING: Boom! The Rockets just got rid of Asik and Beverley for Ty Lawson, a much better shooter than Beverley. Denver has been looking for a legitimate center for years and finally gets one for a not-quite-All Star. Denver is actually on the cusp of the playoffs, but that team doesn’t make any sense and has no business being good. One theme of this post: if you’re not good, blow it up! COACH HUBIE: But the second part of this trade is a problem. Arron Afflalo is one of the best 2-guards in the league, a classic 3-and-D guy. Lin and Motiejunas are not going to cut it, so Houston would have to send a draft pick Orlando’s way. But ultimately, starting Afflalo and Harden would require Harden to play more 3 which is more demanding defensively and cuts into Chandler Parson’s minutes. The lineup just doesn’t balance out for the price you pay. XING: You’re right, this isn’t going to work. 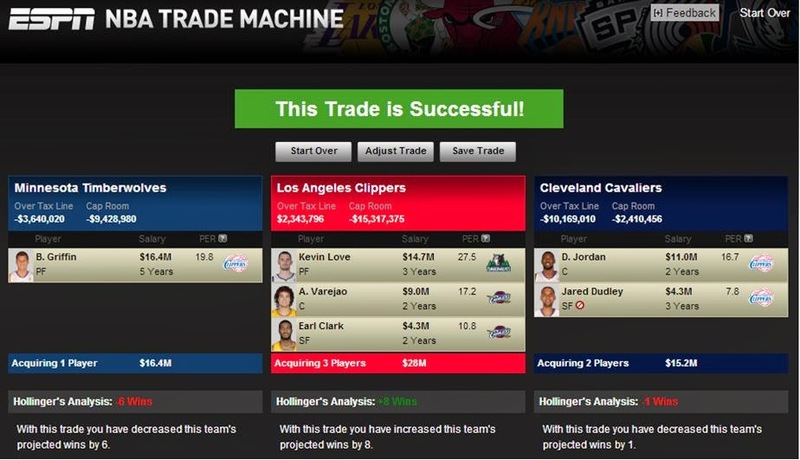 We need a new trade partner – the 2013 Boston Celtics, AKA we’re blowing up the joint! COACH HUBIE: This trade make sense for all sides. 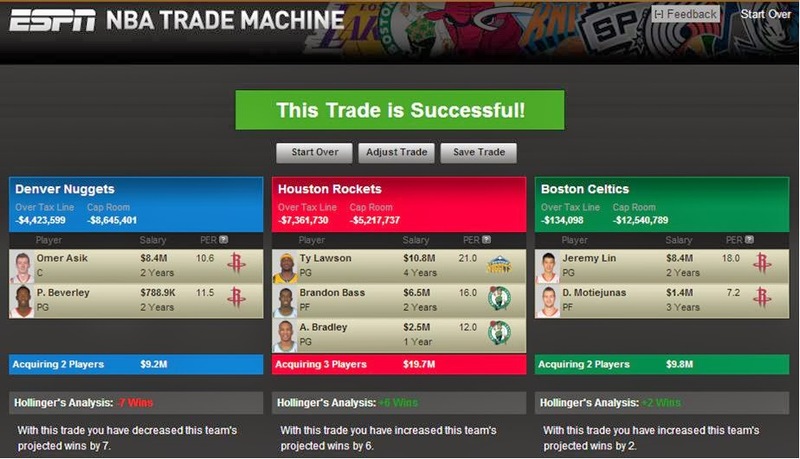 Boston gets two young players to build around and can also get a pick from Houston. The Lin contract turns into a very promising expiring next year that the Celtics can flip if they decide to go away from him. Motiejunas gives them great size and shooting, something that Brad Stevens likes. For Houston, Bass is an upgrade over Terrence Jones at the 4 and Bradley is the perfect backup for both Lawson and Harden – great defensively with some ball-handling skills. He’s also not a premier player that you absolutely have to play 30+ minutes each night, so he gives my good friend Kevin McHale tremendous lineup versatility. XING: Great! We’ve saved one franchise. Who’s next? ...Seriously though, the Thunder really need some help at the 2 spot after irresponsibly cheapskating trading James Harden. Good thing the Magic are still in the game with Afflalo. COACH HUBIE: I agree with Mr. Simmons and Coach Collins, this makes sense. Orlando gets worse for a sensational draft class and gets an extra pick in the process. Oklahoma City gets a perfect guy for their system and has started 16 playoff games. XING: The Clippers are not going to sit there and watch these teams get better around them though. COACH HUBIE: Now that’s a major trade. You dramatically alter the potential playoff landscape with that move, including two All-Stars changing places. Let’s break it down: first the Clippers send DeAndre Jordan and Jared Dudley to Cleveland for Anderson Varejao and Earl Clark. Anderson doesn’t fit with what Cleveland is doing and Andrew Bynum is playing well (knock on wood). I always maintained you can’t have two guys that go by the same name (Andy) on your team, or substitutions get too mixed up. Jared Dudley is perfect for that team: he’s tough, a veteran, and a leader, and fits a hole at small forward. They can bring DeAndre off the bench for defense, a perfect role for them. XING: Then, the Clippers trade Blake Griffin straight-up for Kevin Love! Kevin returns to L.A. while Blake is banished to the Minnesota. I originally had Love to Portland for LaMarcus Aldridge, but the Blazers are playing so well I don’t think they’ll blow that team up. In Minnesota, Ricky Rubio, Rick Adelman, Corey Brewer, and Co. love to run, which is perfect for Blake. In L.A., Varejao protects the rim behind Love, who throws the best outlet passes in the game to the best point guard in the game. Win, win, win! But what about the other L.A. team? Take it away, Coach Hubie! COACH HUBIE: It’s increasingly clear that Pau Gasol doesn’t belong with Mike D’Antoni. Pau is a legitimate center that I had to coach against when I was in New Orleans. He’s now drifting further and further from the basket. Both he and the Lakers need a change of scenery. COACH HUBIE: The problem with this trade is now the Warriors have two centers on their roster that both like to play in the paint. Coach Jackson can’t play both Pau and Andrew. …Andrew Bogut becomes available! On that day, the Warriors trade Andrew Bogut to Boston for Courtney Lee (wing defense) and Gerald Wallace (post defense). This gives them more lineup flexibility and also paves the way for Harrison Barnes to play small-ball 4 alongside a Pau Gasol, Stephen Curry, Klay Thompson, and Andre Iguodala. For Boston, the Bogut contract is shorter compared to those of Lee and Wallace, clearing future cap space. I feel bad for Bogut, a genuinely good guy that's had terrible luck and been traded too many times, but I think Pau is worth it. XING: That’s right. Boston just fake-traded Avery Bradley, Rajon Rondo, Courtney Lee, Gerald Wallace, Brandon Bass, and Victor Faverani. Let’s see them try to win games now! I’m saying under 20 wins = Jabari Parker, AKA the second coming of Paul Pierce (you read it here first). COACH HUBIE: This is actually a great move for Boston. Along with the extra draft pick from the Houston deal, they move forward with a core Lin, Jordan Crawford, Jeff Green, Motiejunas, Monroe, and Olynyk (assuming they let Bogut and Stuckey go eventually). All of those guys are under 25 except for Green (age 27). This looks like a similar basket of assets the Celtics had before trading for Ray Allen and Kevin Garnett. For Detroit, this solves their frontcourt spacing issues, finally allowing them to play Josh Smith at his natural small-ball four position. And when Rondo comes back to direct the show? This team could be scary, especially if Kentavious Caldwell-Pope can successfully space the floor (currently shooting 31.3% from 3). And the secret? Rondo and Josh Smith are buddies! COACH HUBIE: I always believed that Josh could be an effective big forward. It keeps him away from jump shots and near the basket for rebounds, blocks, et cetera. Adding Rondo also allows them to move Jennings off the ball, which should benefit his decision making. You could do worse than a core of Rondo, Jennings, Caldwell-Pope, Kyle Singler, Smith, Jonas Jerekbo, and Andre Drummond. XING: Hmm, that's actually not bad. But there’s a team that will not be out-done by Boston in Tankapalooza 2014. The Orlando Magic have already traded their best player, so tear it down! COACH HUBIE: The Magic need to get more playing time for Victor Oladipo and find out if they need a point guard in next year’s draft. Jameer Nelson could really help a Pacer’s team whose ball-handling was exposed in last year’s playoff series with Miami. And Glen Davis will really shore-up a big man rotation that is suspect behind Roy Hibbert and David West. Luis Scola is an offensive savant but is not a defensively-minded player. I like how this trade brings toughness and experience to Indiana, especially in Nelson, someone who has beaten LeBron in a playoff series. XING: Jameer has really turned back the clock this year. And Glen Davis has morphed into a highly effective defense and rebounding guy with a somewhat useful jumper. 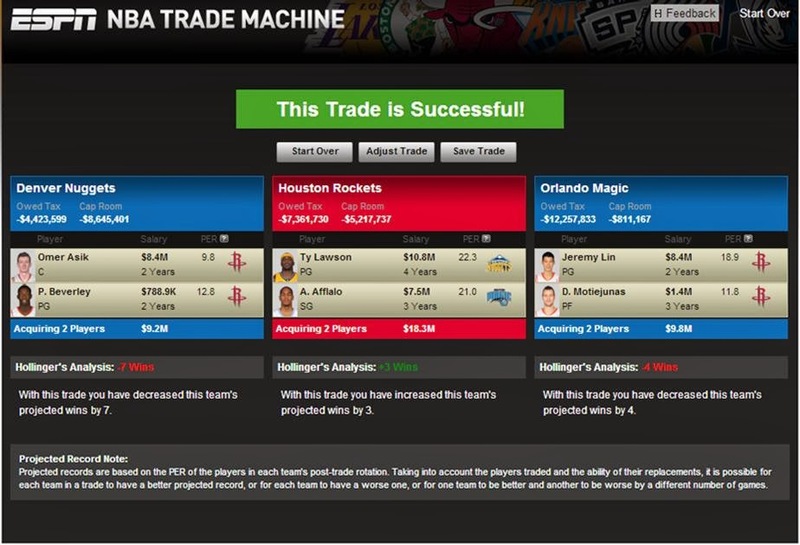 But the frontcourt for the Magic going forward is some combo of Tobias Harris, Maurice Harkless, and Nikola Vucevic. 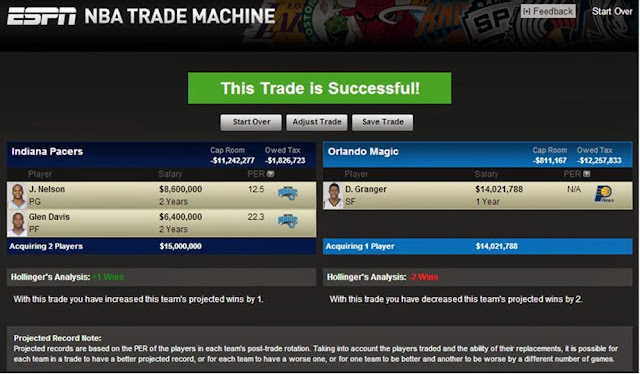 For their troubles, the Magic get a year of Danny Granger, a cleaner balance sheet, and another draft pick. COACH HUBIE: Come one, Xing. Aren’t there some teams that want to get better this year? What about the New York teams? XING: No, no, not the Nets. Not the Knicks. Not again! XING: The league should really look into banning these two teams from making a trade ever again. But while they can, a 3-team 8 player trade can’t go wrong, can it? COACH HUBIE: I like what you've done here, Xing. The Knicks and Nets need to realize that the status quo will not do. The Knicks' move to get Bargnani over the summer was not a good one. Brooklyn's identity can’t rest with Deron Williams - right now he's the biggest star in that locker room, and he shouldn't be. With this trade, you tell both teams to put up, or shut up. XING: Knicks fans have complained about Raymond Felton being overweight and disinterested. Now they can say the same about Deron Williams. 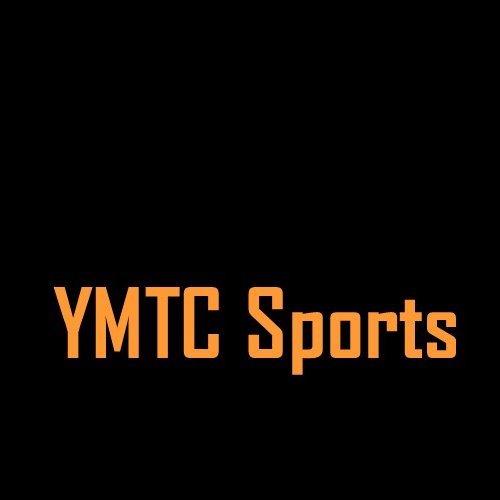 The team will have three quarters of a season to see if four former All-Stars in Deron, Carmelo, Tyson Chandler, and A’mare Stoudemire can get some wins. If not, the trade will at least draw some eyeballs. COACH HUBIE: That's an underrated aspect of the business side of basketball. You need to draw fans to seats. For the Knicks, the market will always be there for them, but this is how you build equity for lean years, by getting stars when you can. By moving Metta and Iman, you really put your trust in J.R. Smith and Tim Hardaway, Jr., who has shown flashes this season. 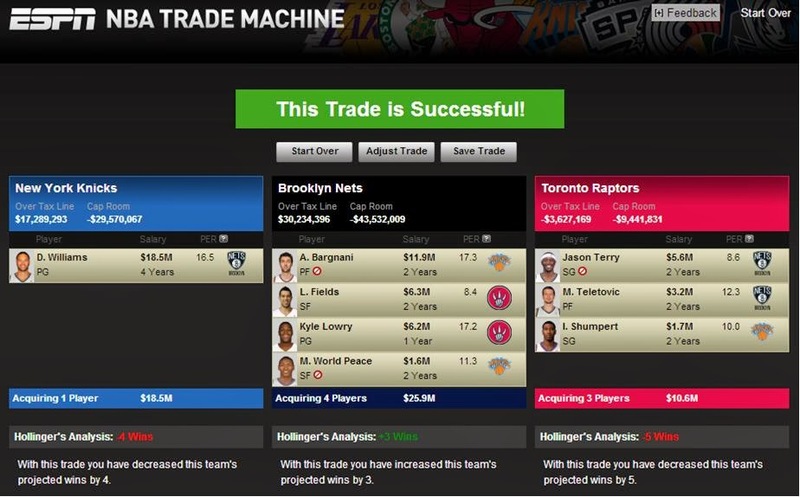 The Nets turn around and make the trade with Toronto for Kyle Lowry. Lowry is an above-average defender but does not see the floor well. Good passing from KG and Paul Pierce will be key. I like the fact that they’re bringing in Landry Fields and Metta World Peace, two players that can defend multiple positions. This will be a slow-down, grinding, defensive team that will rely on Pierce to get baskets in the clutch. Finally, the locker room will now belong to Kevin and Paul. They must help coach Jason Kidd get a handle on this situation. I’ve heard from other coaches that Lowry can be a hothead, and the veterans need to bring him into the fold. XING: I think taking the Nets away from Deron is the right move. They both need a change of scenery. Winners in NY and Brooklyn! For Toronto, they pick up young assets in Teletovic and Shumpert, and maybe another asset from Brooklyn as well (I’ve heard the 2020 pick and overseas prospect Bojan Bogdanovic mentioned).